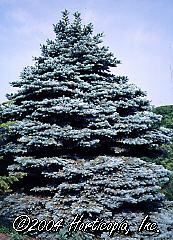 Bright silver blue foliage on a dwarf, slow growing, broadly conical shaped tree. Excellent specimen tree. Low maintenance beauty.